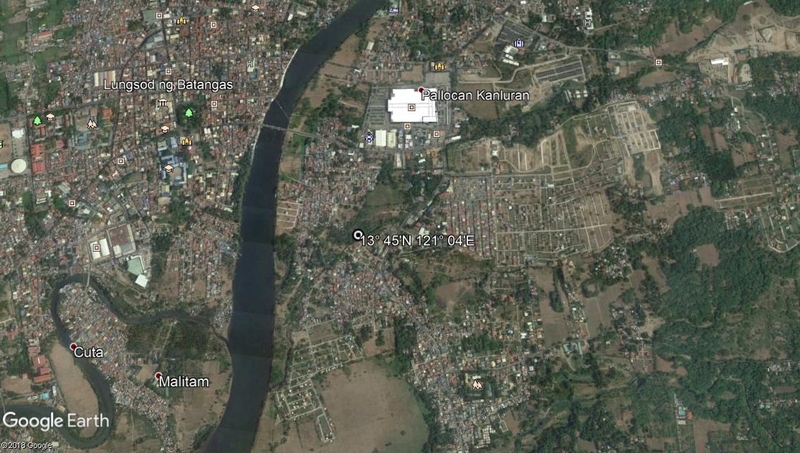 Aerial photograph of Batangas Town. Image source: United States National Archive. The photograph above was taken 31 July 1935 from an aircraft flying off Nichols Field (present day Villamor Air Base). 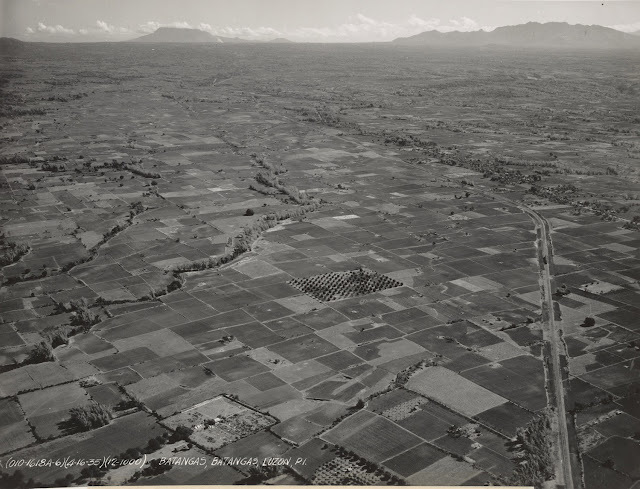 It has been downloaded from the United States National Archive, with the header “Batangas, Batangas Province, Luzon, P.I. (for Philippine Islands). Underneath the picture is the caption “Area 18 Philippine Islands – Luzon Island – Batangas Province – Batangas. The locations approximate coordinates given are 13° 45'N 121° 04'E, which means that if these are accurate, the picture was taken while the aircraft was in over the vicinity of the Pallocan area of what is present-day Batangas City. Below is the satellite photo of the very same coordinates as rendered by Google Earth. Almost dead center, the coordinates given in the historic aerial photograph above. Image source: Google Earth.